Hanisch Haus is the original family Binder family home, built in 1907 and formerly owned by the Hanisch family. 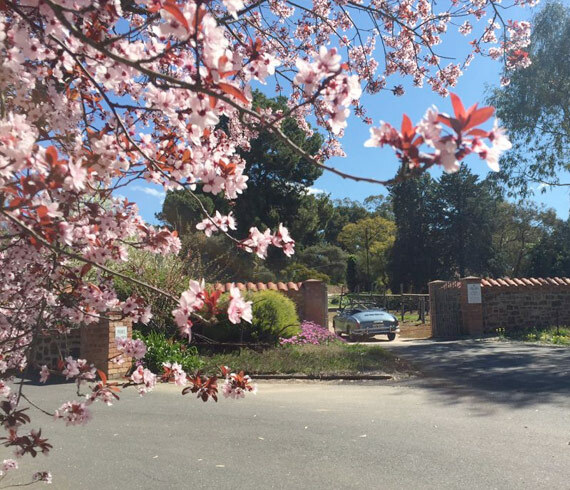 This lovely historic, ironstone home is situated on the 27 hectare property, adjacent to Veritas Cottage Bed & Breakfast. The property has recently been renovated and is equipped with features to ensure a comfortable visit while still maintaining the old European charm that Rolf and Franziska gave to the home. A larger self contained, two bedroom home that sleeps 4 with 2 queen size beds. The spacious living room has a new (2018) wood fireplace and lovely parquet wood floors, with convenient side door access to dining on the terrace looking out over a recently planted vineyard and park-like surrounds of the expansive property. The spacious, sunny kitchen has a real retro 1960s character with complete facilities for those who like to cook. You’ll often see Rolf in the nearby vegetable garden, filled with fresh herbs and vegetables,also available for guests to harvest for cooking during a visit. Stays at Hanisch Haus include full breakfast provisions and a nice bottle of Rolf Binder wine. The location provides a rural, peaceful setting although only 3km from the centre of Tanunda for easy access to shopping, dining and other facilities. There is ample outdoor space to take a stroll and explore, with regular kangaroo sightings and enjoyable sounds from kookaburras and other birds and wildlife. Stay within minutes of many local wineries, including ours! Please Note: Rates do vary based on calendar. Firm rates upon request. Single night stays may be available. Children are welcome, young children need to be supervised closely.